BACK ON THE MARKET!!! Property was taken off market to give tenants time to vacate. House is now vacant and easy to show!! 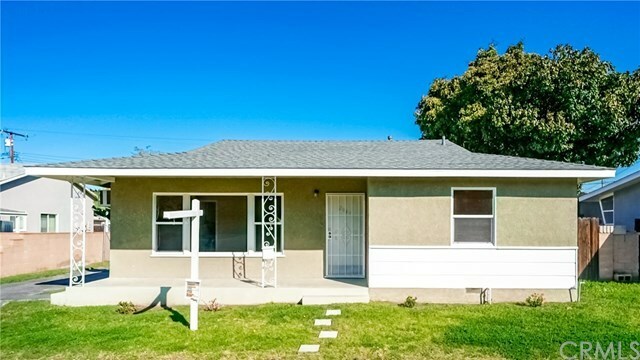 Charming Single Family Res in the very nice community of West Covina. Best Priced Home in the area. 3 Bedrooms 1 Ba. Fresh Paint in all Interior. Excellent floor plan with large Laundry room with access to rear bedroom...easy second bath conversion for a Master Bath. Large Lot with Fantastic opportunity to expand and increase Sq ft and add Increased Potential Value. Detached garage can also be easily converted to guest house(see city planning for new guest house conversions). New Roof on house, Patio and Garage, New Exterior Paint. Inside Laundry room with utility sink. Dual Pane windows through out for energy conservation and noise reduction. Nice Large backyard with Covered Patio with amazing San Gabriel Mountains View for summer entertaining. Detached 2 car garage. Situated in great location in Covina School District walking distance to Workman Elementary, Traweek Middle School and Covina HS. Close to Westfield Mall and Eastland Shopping Center. Easy access to 10 FWY. Come see how you can make this home your dream home. Home has great potential for first time buyer or investor. Priced to sell quickly! CALL TODAY! !